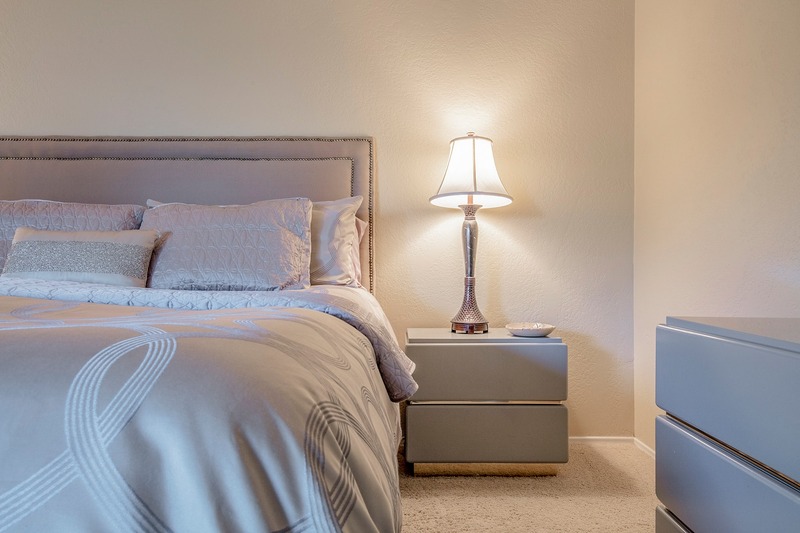 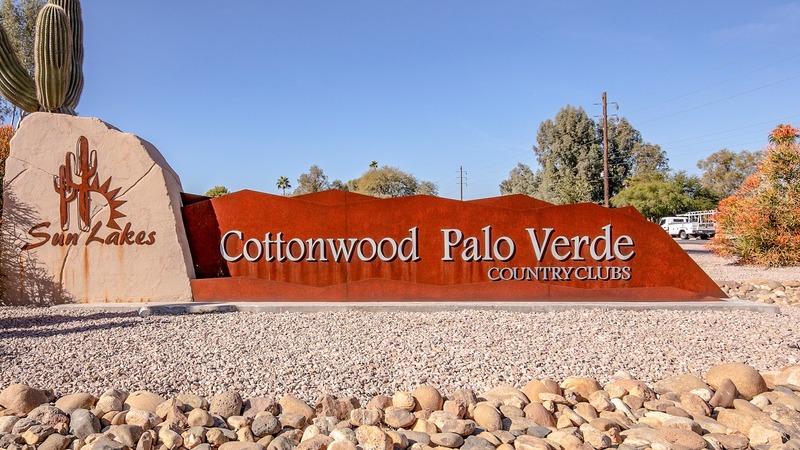 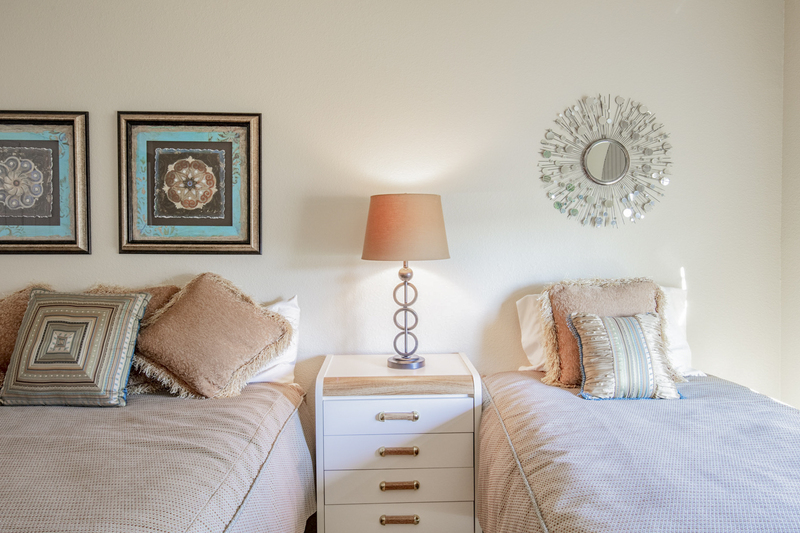 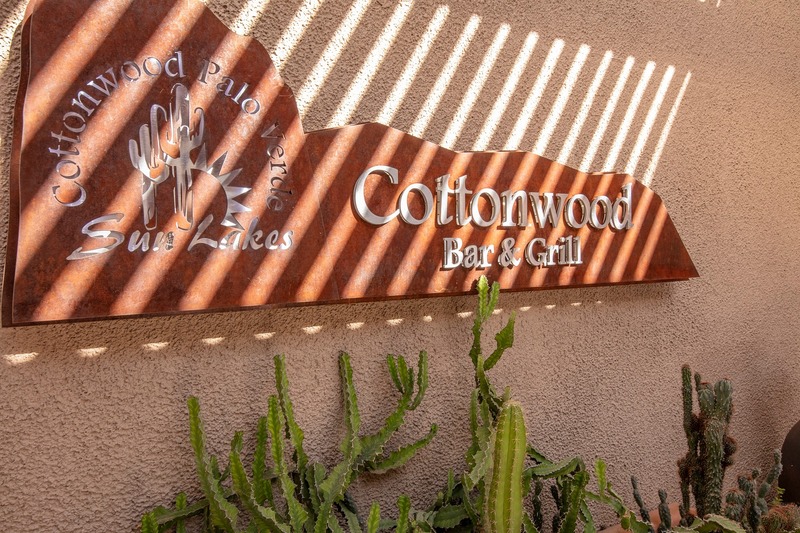 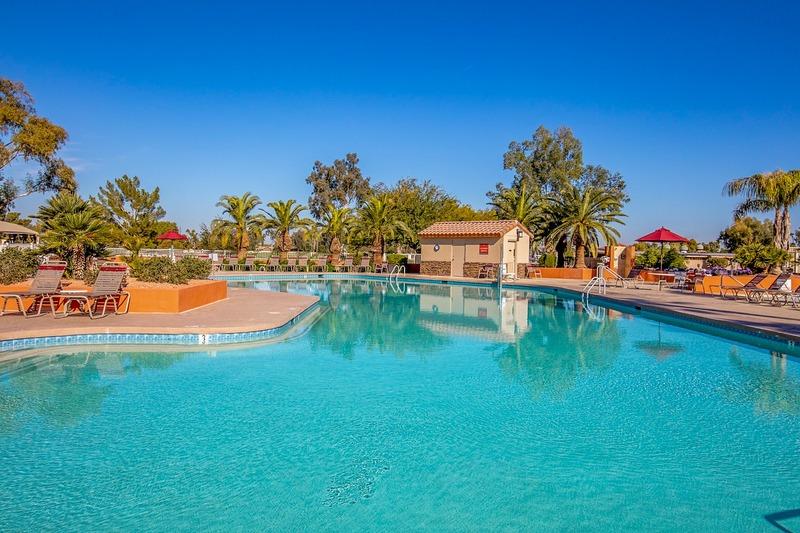 Welcome to the exclusive active adult community of Cottonwood Palo Verde in Sun Lakes! 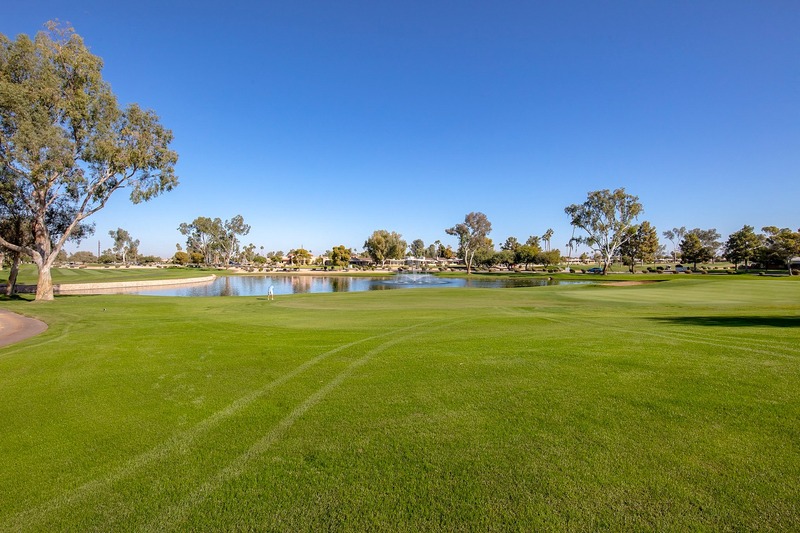 This highly sought after subdivision is one of the most popular areas because of its amenities like the country club, golf courses, beautiful landscaping, and proximity to some of the Valley's best restaurant and retail locations. 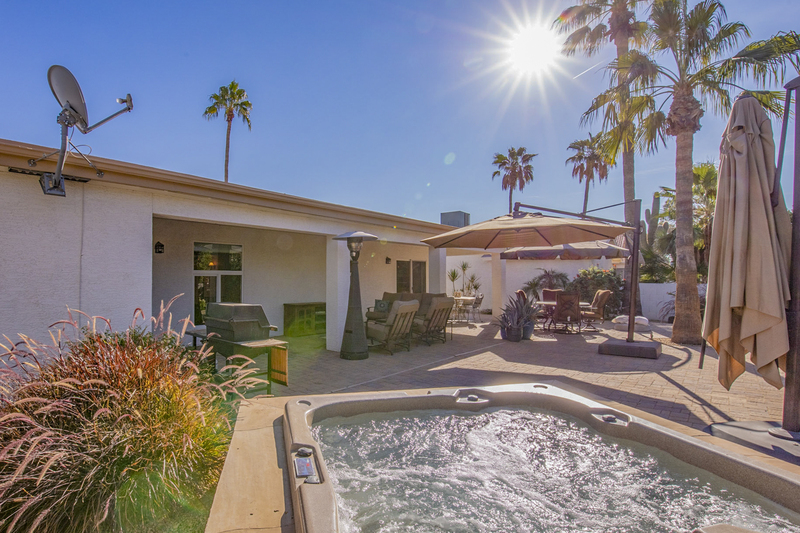 This gorgeous single-level home features 1,823 square feet of paradise, as well as three spacious rooms, two full baths, a lush backyard, and an absolutely heavenly hot tub! 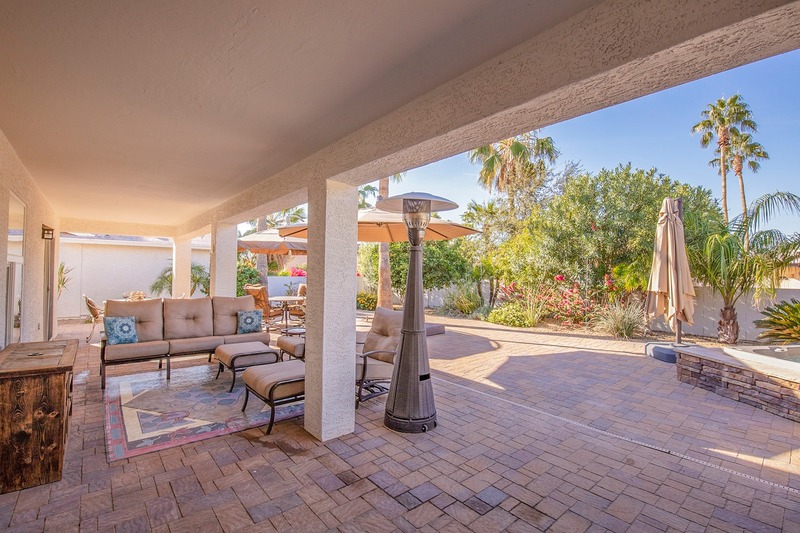 Fall in love with the low maintenance landscaping and embrace the unapologetic desert design of this home! 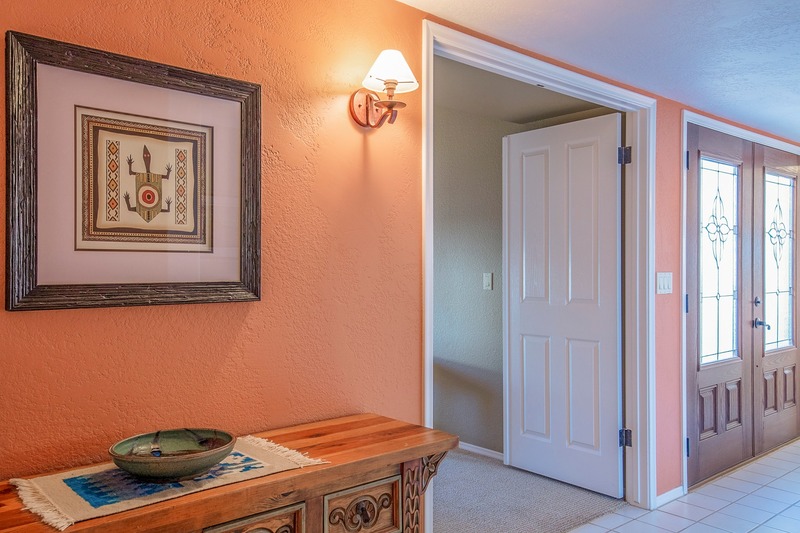 Step through the double door entry and into the heart of the home. 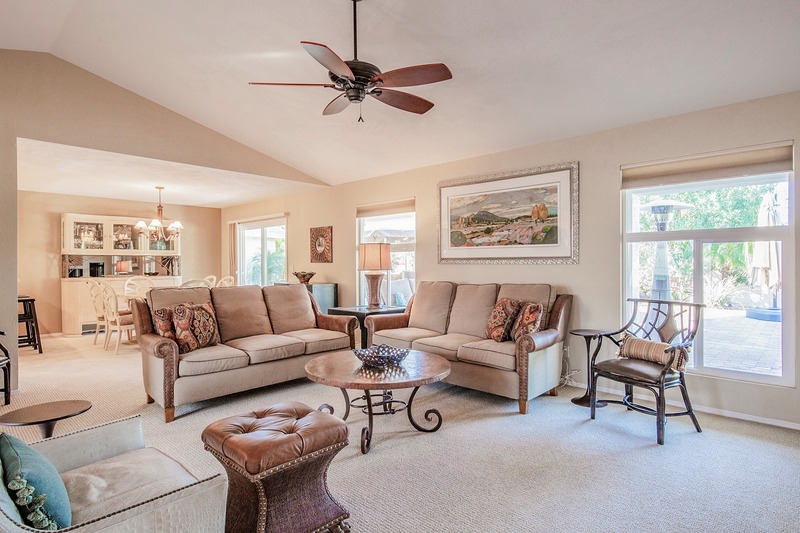 Vaulted ceilings and views of the kitchen, living room and dining room are all on display for family and friends. 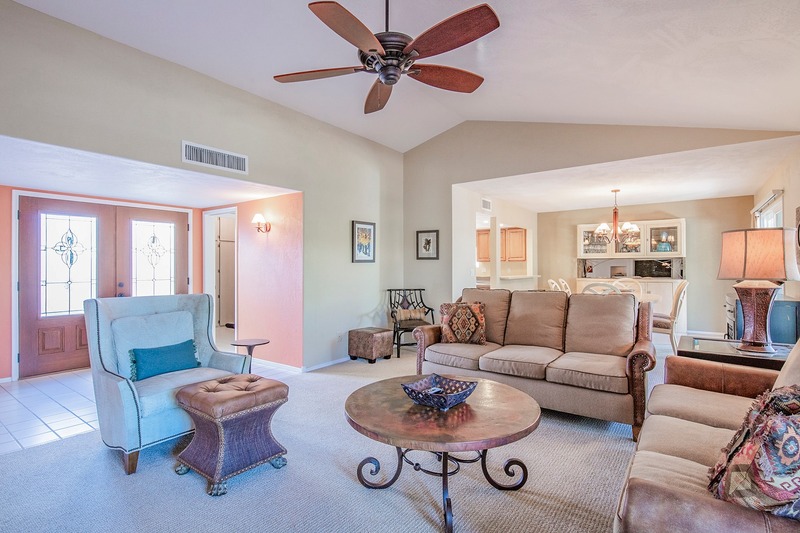 Enjoy the living room at all hours of the day, whether you're watching a morning news show with a cup of coffee, relaxing with the golf channel, or gathering for a movie night, this room has it all. 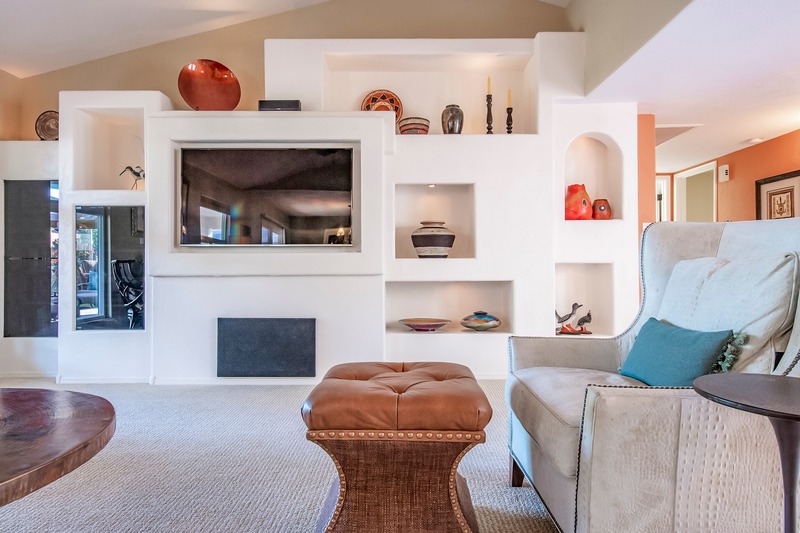 Custom niches with recessed lighting bring character and charm to the front room, proudly displaying works of art or cherished memories. 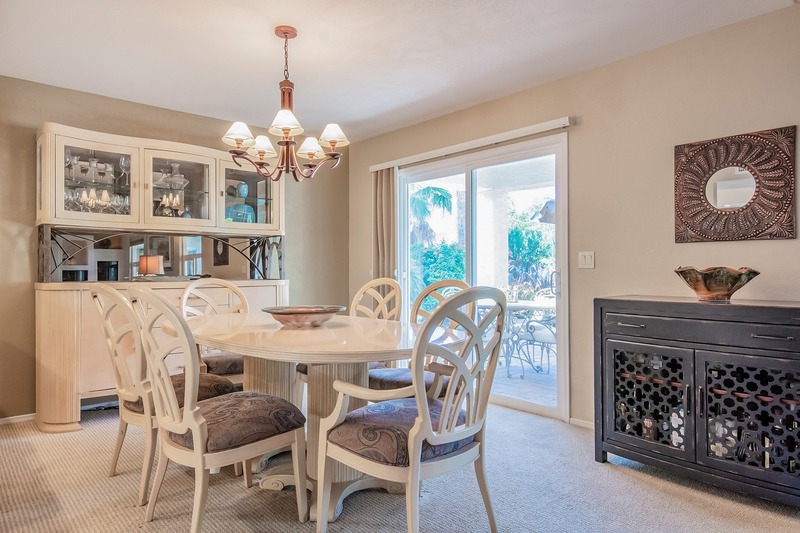 Delight in a delicious meal with friends in the dining room. 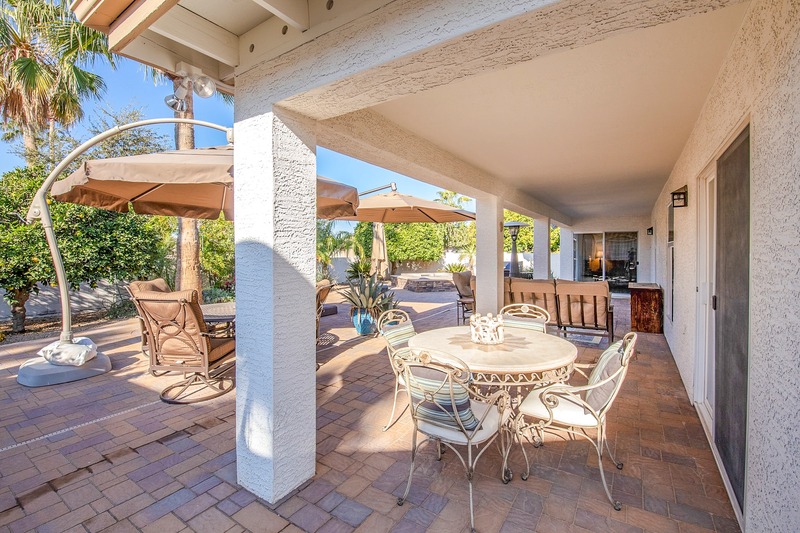 Views of the living room, stunning backyard, and modern kitchen give the dining room access to all the gathering spaces this home has to offer. 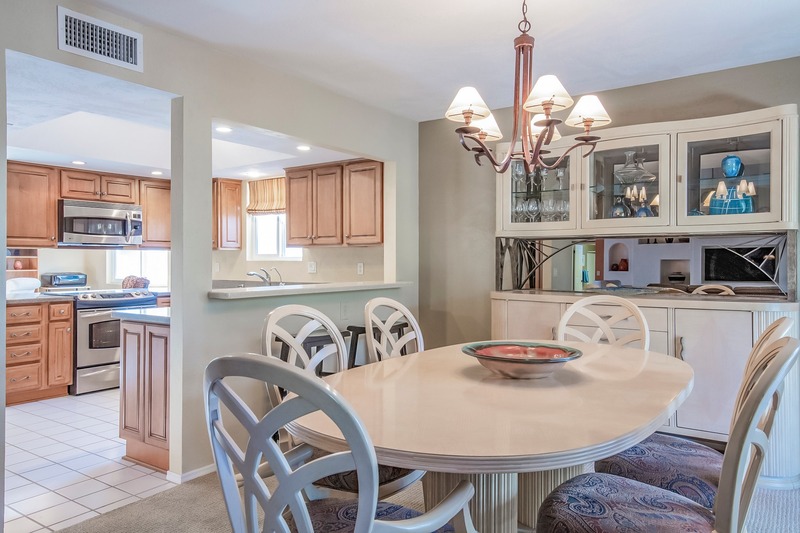 Cook a three-course meal or whip up a sweet treat in this stylish kitchen. 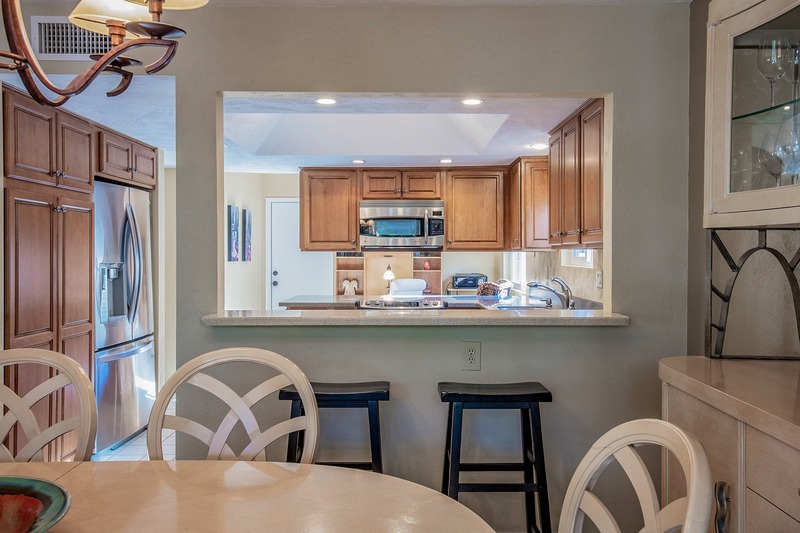 A breakfast bar is perfect for eating a quick meal while the ample counter space is perfect for preparing a larger dinner. 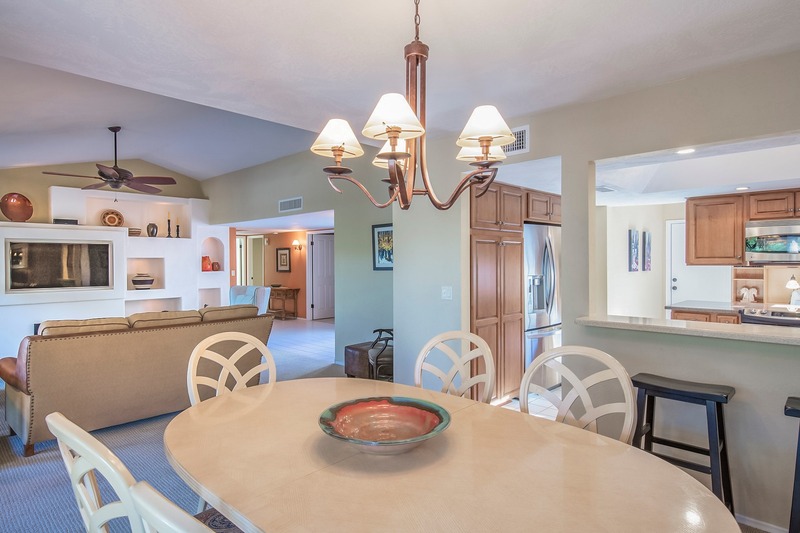 Just on the other side of the cooktop and microwave is a dining space. 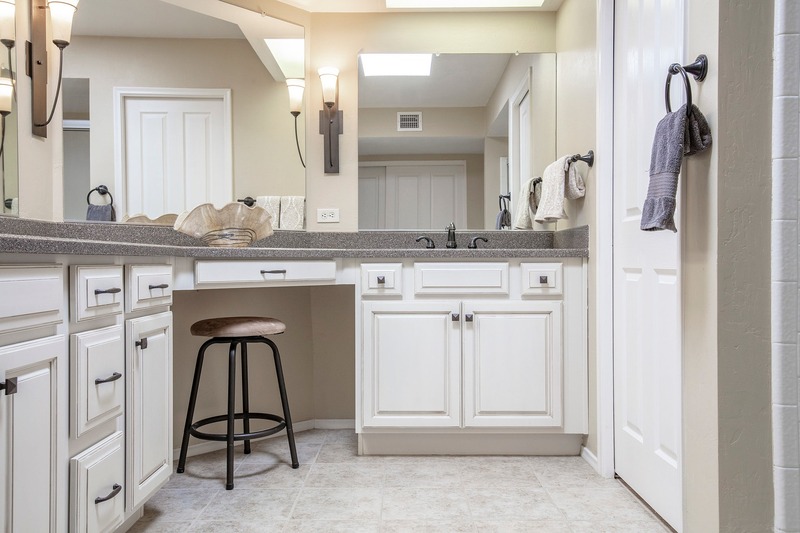 Make it an eat-in kitchen or repurpose the space as a small home office or seating area! 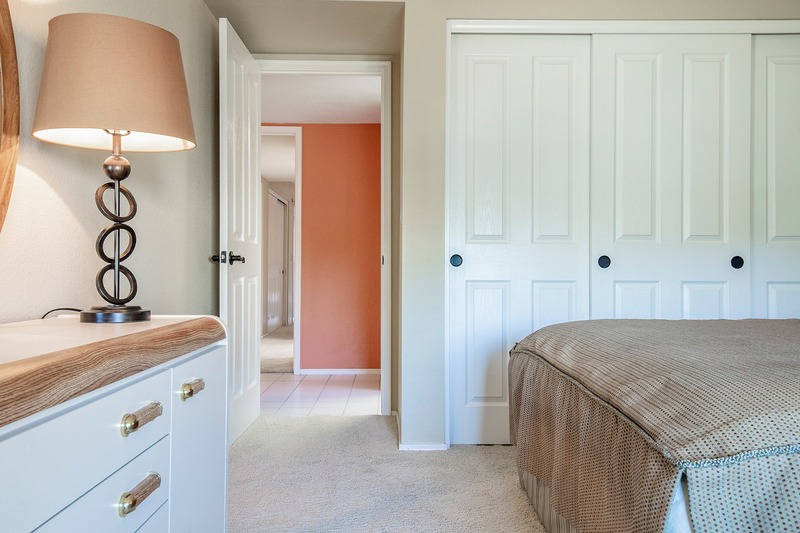 Near the front of the home is the first guest room, which features a double door entry. 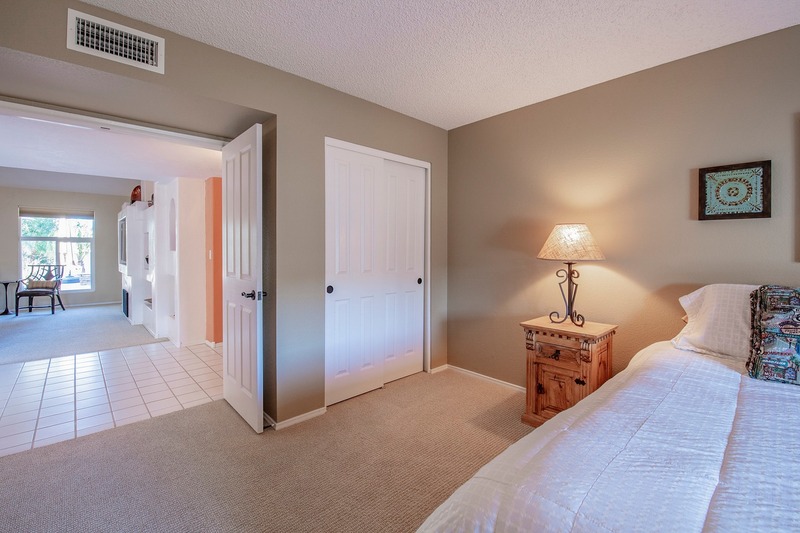 Make this room an inviting retreat to guests or transform it into a home office or hobby space! 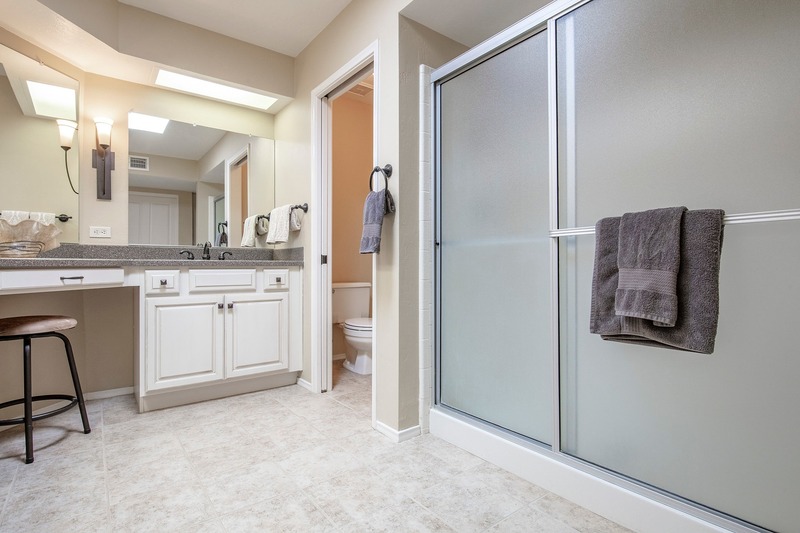 Guests can enjoy a full bathroom right off the guest rooms. 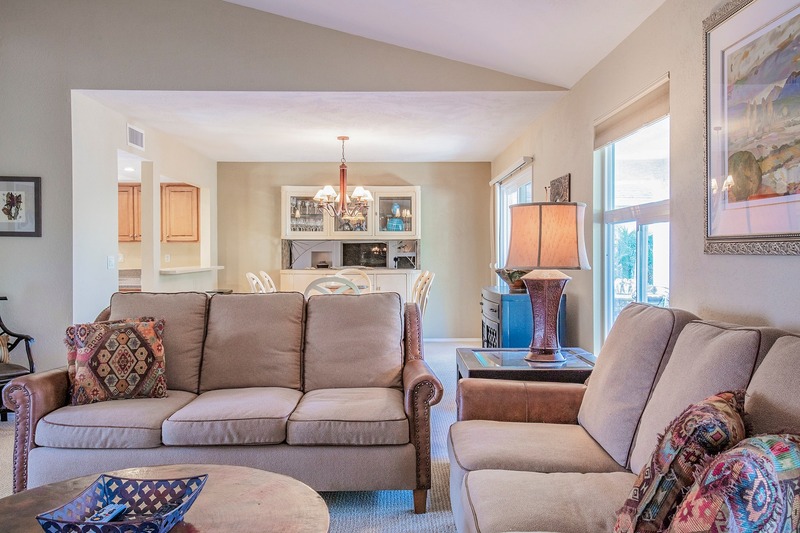 Whether you're having a few guests or more, this home has enough room for all your family and friends! 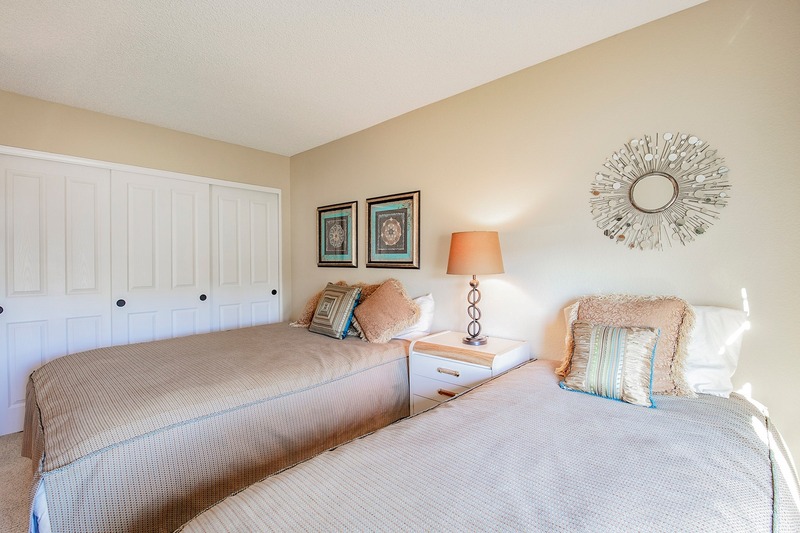 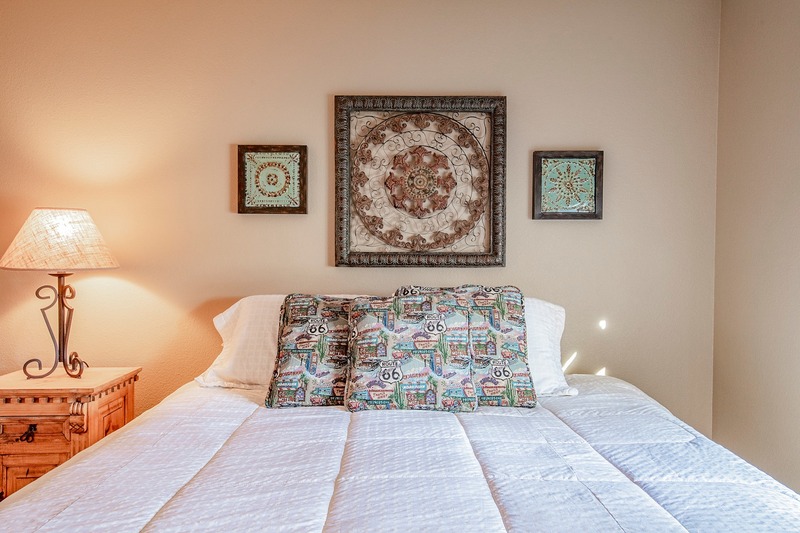 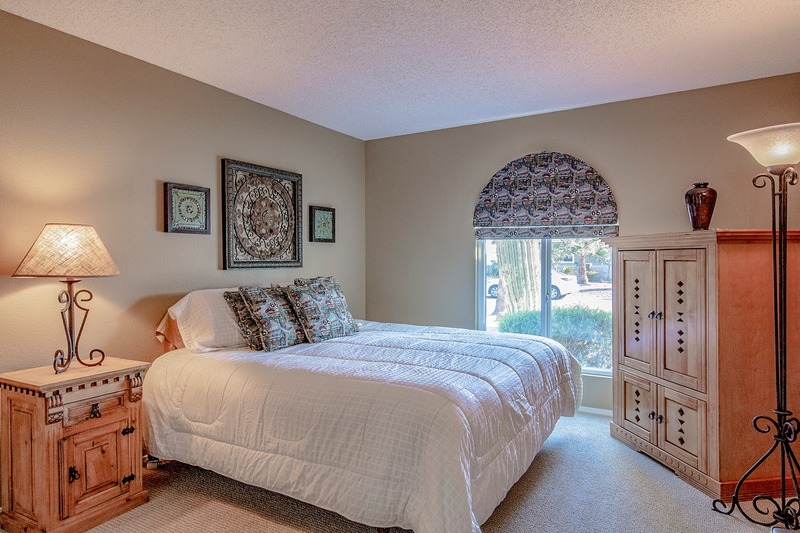 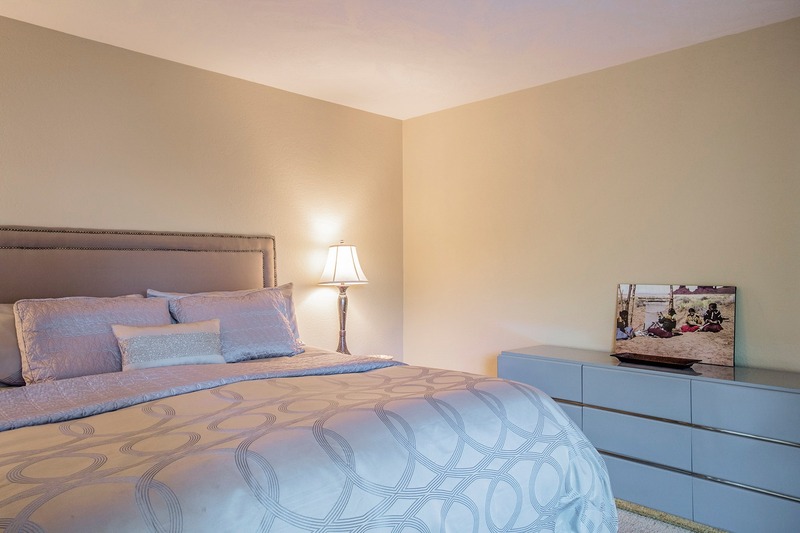 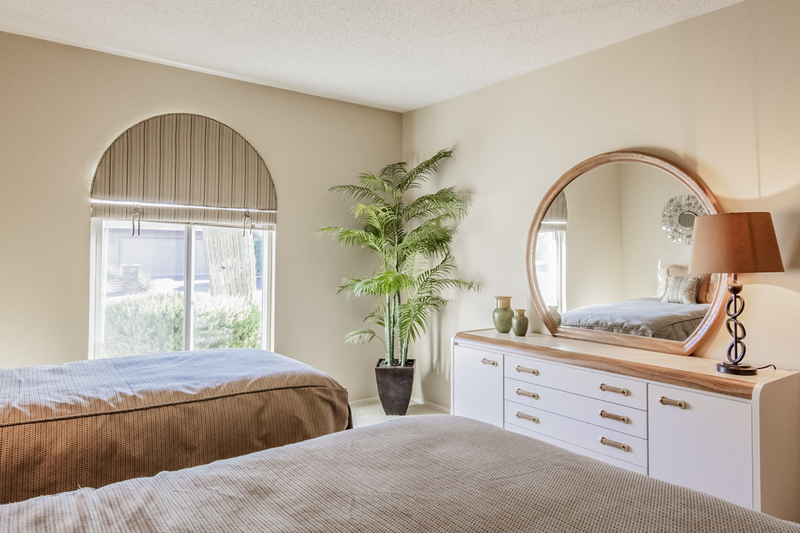 Relax and enjoy the master suite, which offers access and views of the backyard. 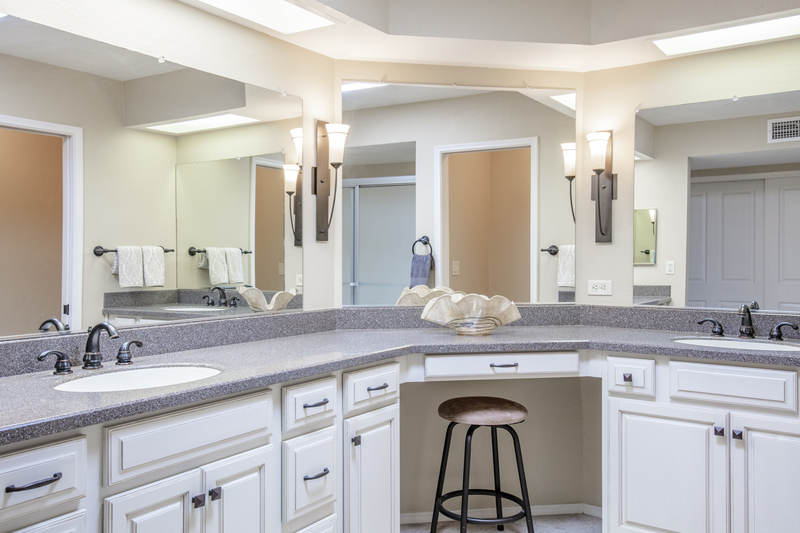 The master bath is also a haven, featuring dual vanities with ample counter space, vanity, and beautiful cabinetry. 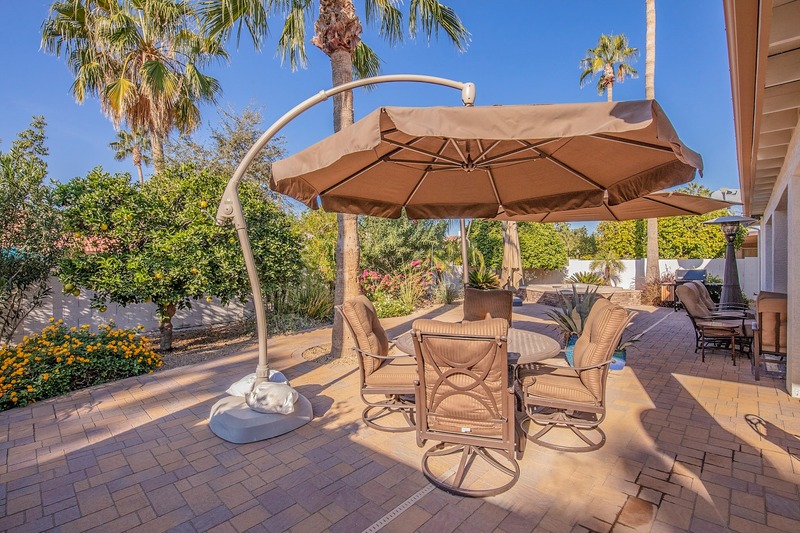 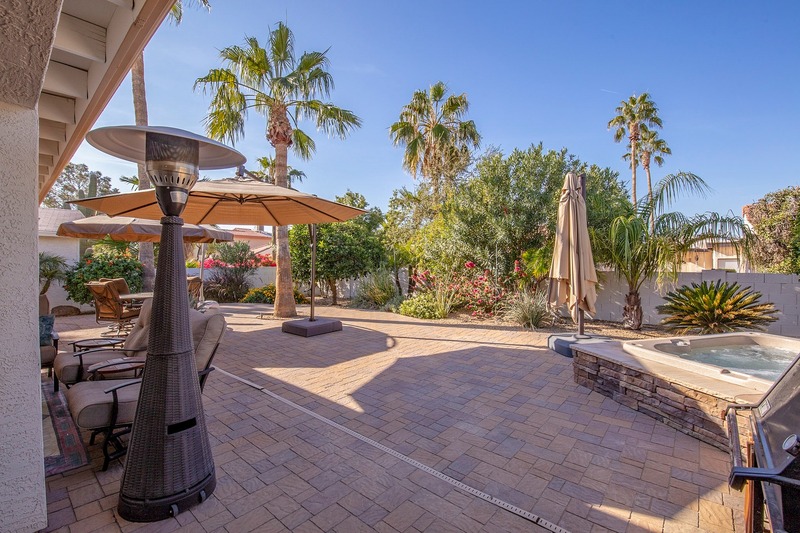 Live the Arizona lifestyle to the fullest in this beautiful backyard. 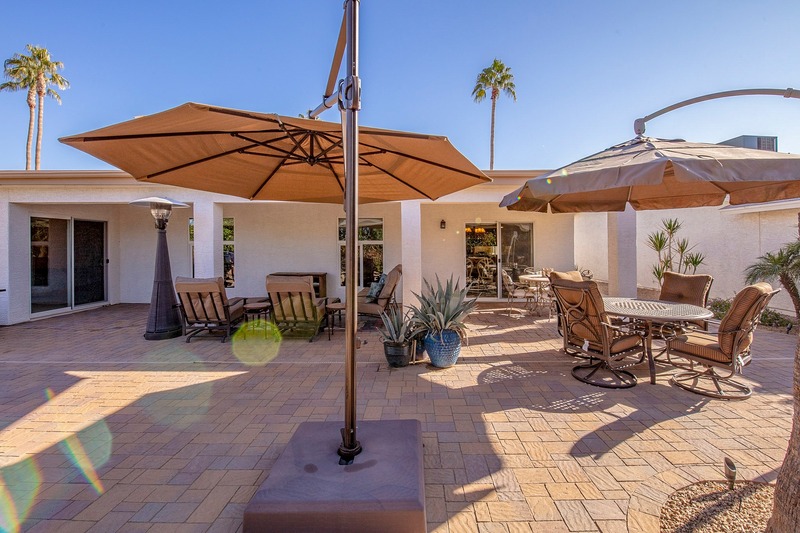 The large paved patio is great for gathering with friends and family while sharing in great conversation. 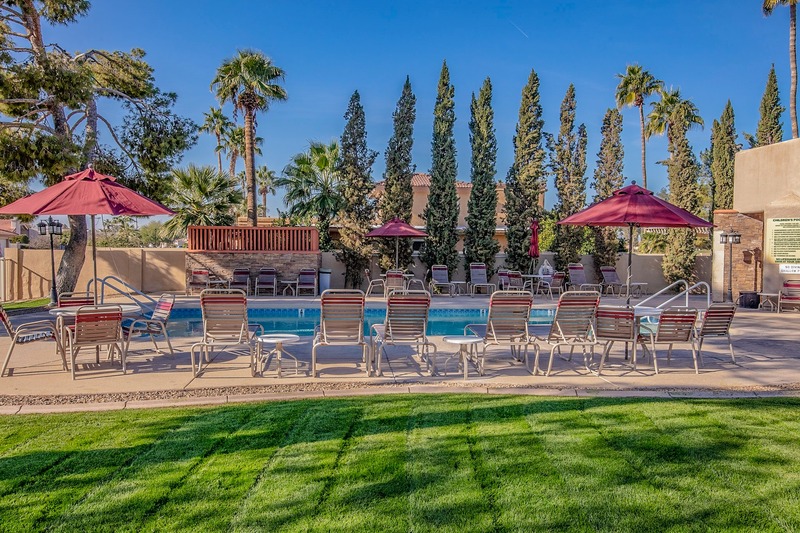 Take a dip in the spa, perfect for unwinding after a long day. 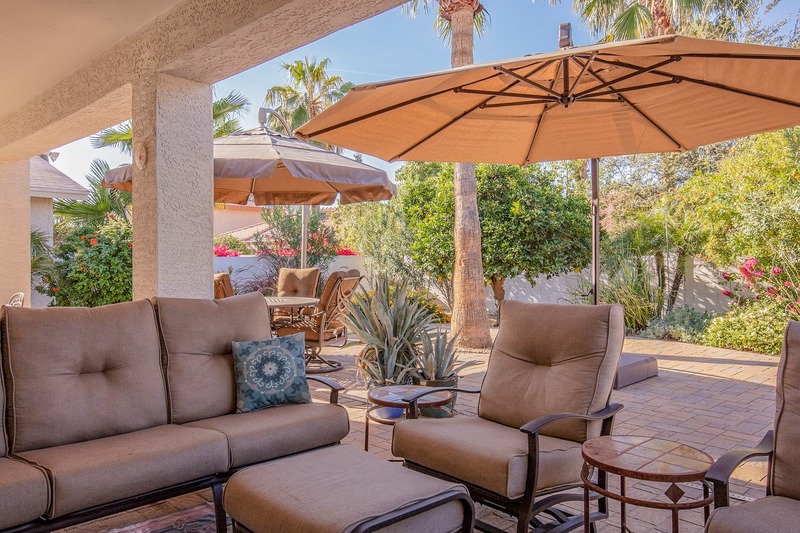 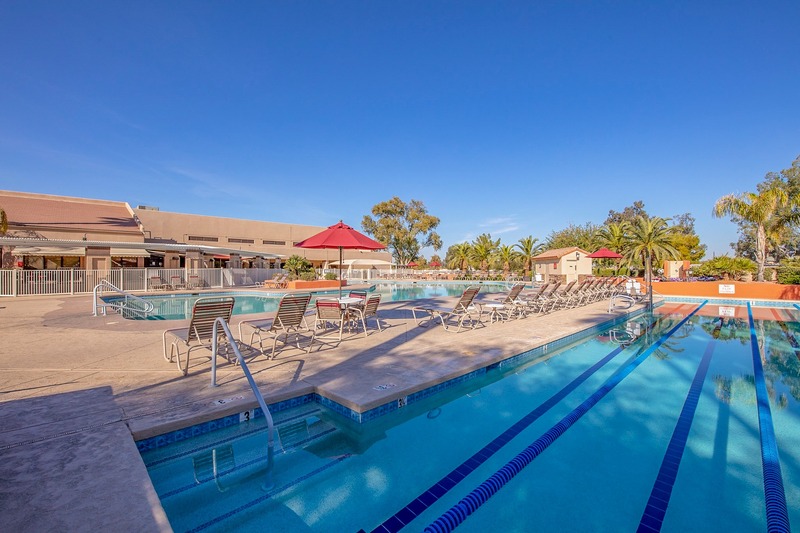 Embrace the active adult lifestyle in one of Sun Lake's premier country club communities. 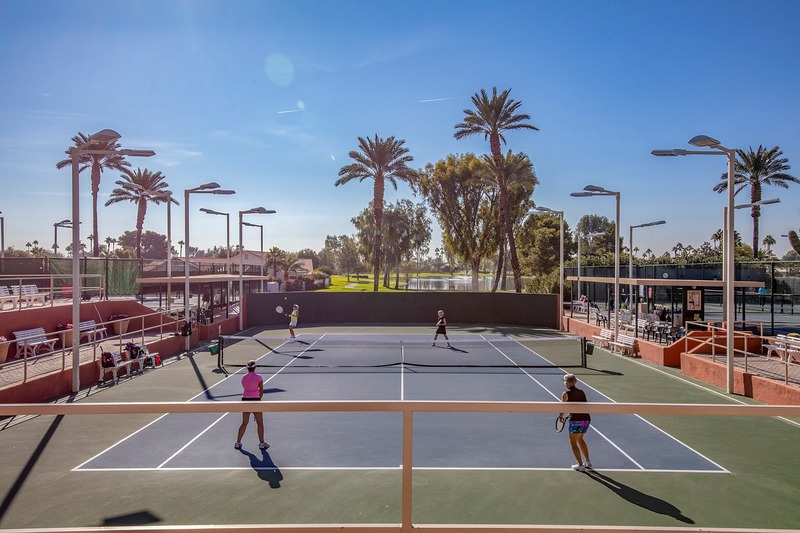 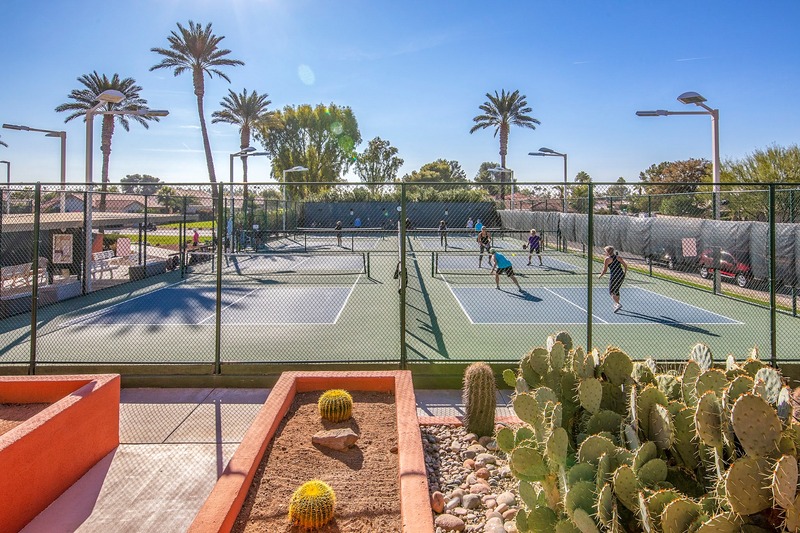 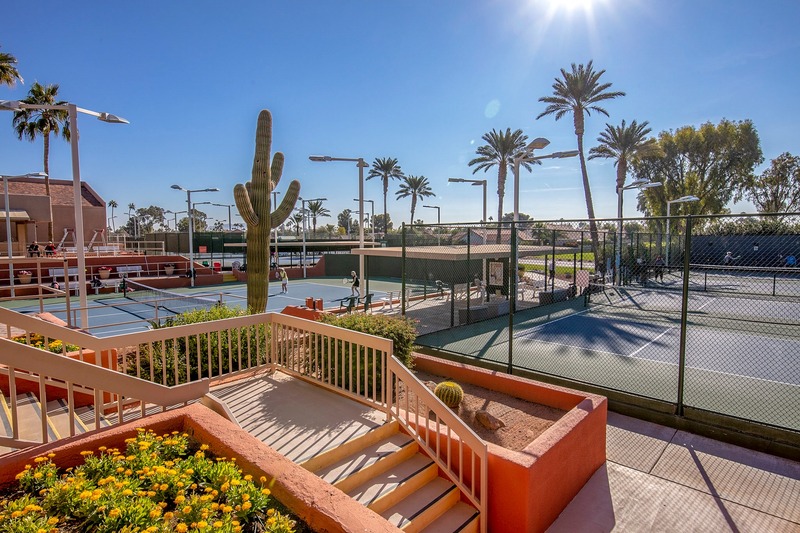 Play a round of golf, take part in a pickleball tournament, or enjoy a meal at the country club. 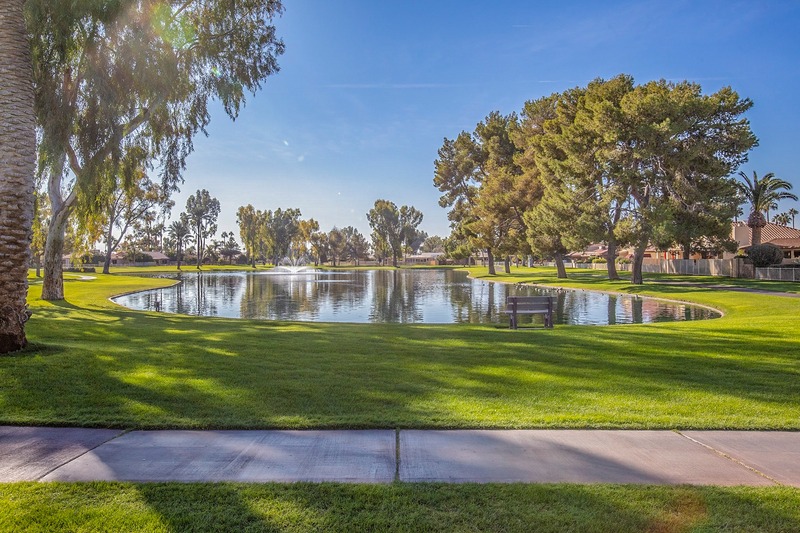 All minutes from Chandler's best retail and restaurants, this community is in a league of its own. 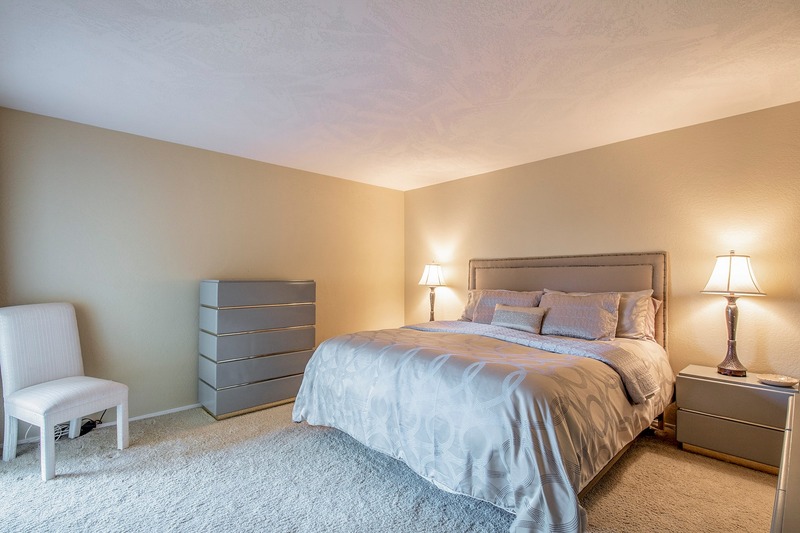 Don't let this fantastic find pass you by, book a showing today!